As a powerful audio converter, ESFSoft Audio Converter offers best free services for users who need to convert Windows Media files to MP3. All Windows Media formats such as .wma, .wmv are allowed to convert by ESFSoft Audio Converter that does not carry any malware or virus. 1. 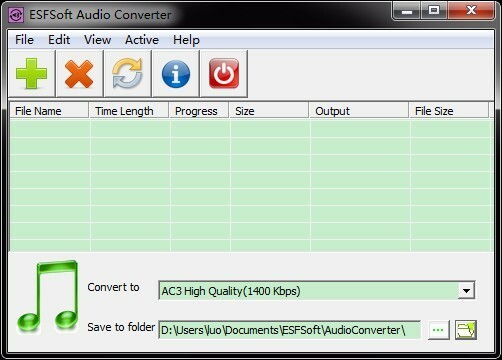 Download and install ESFsoft Audio Convert. Run it. 2. Click “Add” button to pick up a WMA file from folder. Check the box in front offile name on the freeware interface. 3. Select targeted file format MP3 that you want to create. 4. Click “Convert” button , the file will be converted to MP3 audio format immediately.